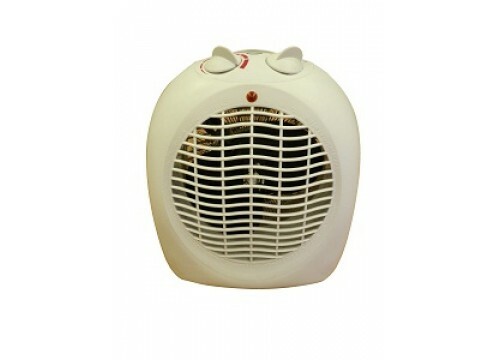 This fabulous 2kW Fan Heater is a great way to keep you warm during the cold winter days. Its portable size and design allows it to be transported from room to room, or just about anywhere you prefer, to take the chill out of the air. It has two heatinglevels - 1000 W and 2000 W. You can choose between cool, warm and hot air, or adjust the thermostat to the temperature you prefer. Automatic temperature control helps maintain even heat throughout, and prevents over-heating. Lightweight and small producing fan assisted heat straight to where its required. Three fan speeds to adjust airflow to desired levels. Safety cut of switch it unit falls or is tilted from level status.